Mónica Calvo, from the Board of Directors at OCI Healing Research Foundation introduces Tong Ren Healing at the Natural Living Expo in Sturbridge, Massachusetts. 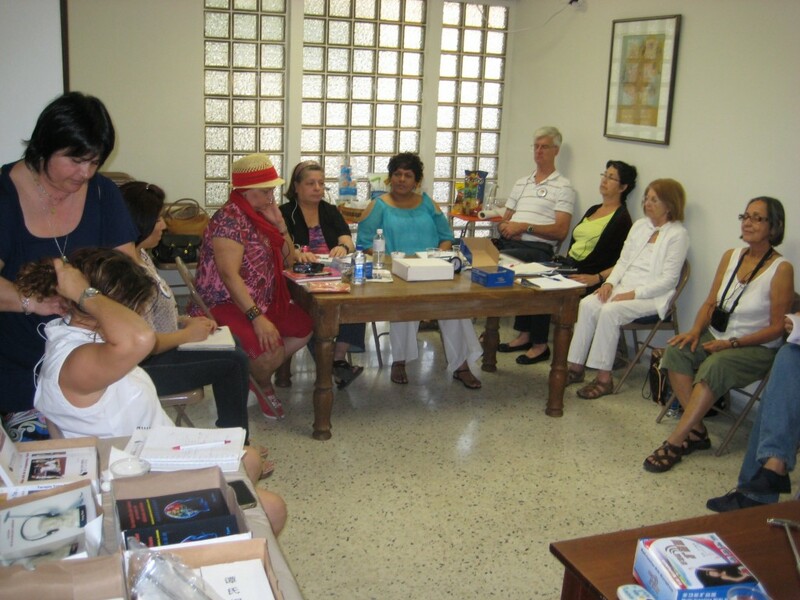 Students in Puerto Rico using devices to experience revolutionary Tong Ren Wave Healing. Mónica shows students how to perform Tong Ren Tui Na massage on the neck. The theories of Tong Ren are rooted in ancient Chinese medicine but work in conjunction with accepted Western medical practices. 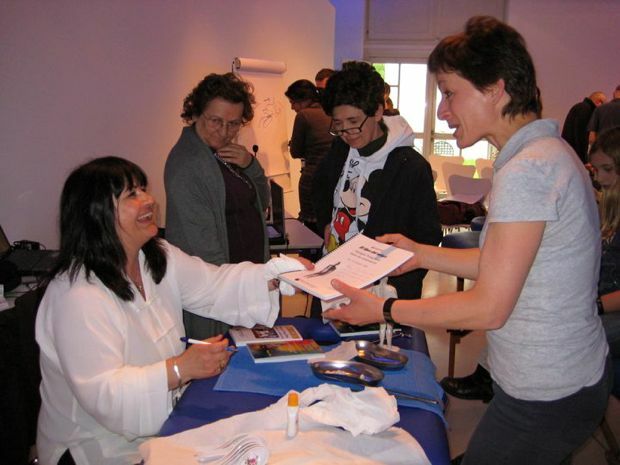 Mónica signed copies of Tom Tam’s Lazy Bum book, Spanish edition, after finishing a seminar on Tong Ren therapy and Tui Na in Florence, Italy. 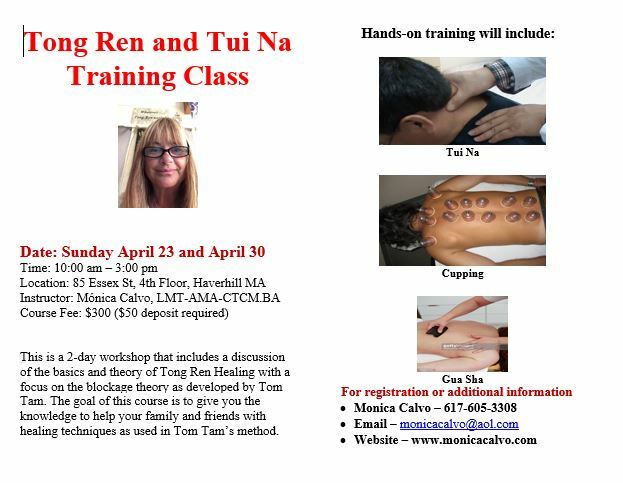 Join this 2 days seminar with Monica Calvo a Tui Na Practitioner with more than 20 years of experience working closely with Tom Tam, to experiences and learn this body work technique a practical way to help yourself, families and friends, to releases pain, inflammation, and side effects from stress and others ailments. Tui Na originates in China as medical treatment and part of Traditional Chinese Medicine. This traditional style is focusing in Meridians path way of energy or Chi or Prana. TONG REN TUI NA is focus on the blockage theory of Tom Tam Healing System with primary goal to remove physical blockages that interfere with the normal state of body homeostasis of health. TONG REN TUI NA is a manipulation technique to help resolve the areas compromise locating the blockages that indicate which areas are in need of treatment. Students will be able to localize those areas and see after treatment the benefits that produce when the blockage is open. The training will provided the students with a lot of hand on practice and uses of some TUI NA technique that include, pressing, grasping, and rolling on the points of stagnation or blockage . on your decision to advocate for your health. This is an exciting class where you will learn the following techniques to help family, friends, and yourself! On October 21, 2016, the Italian Association of Medical Surgeons and Dentists held a Tong Ren presentation in Florence. 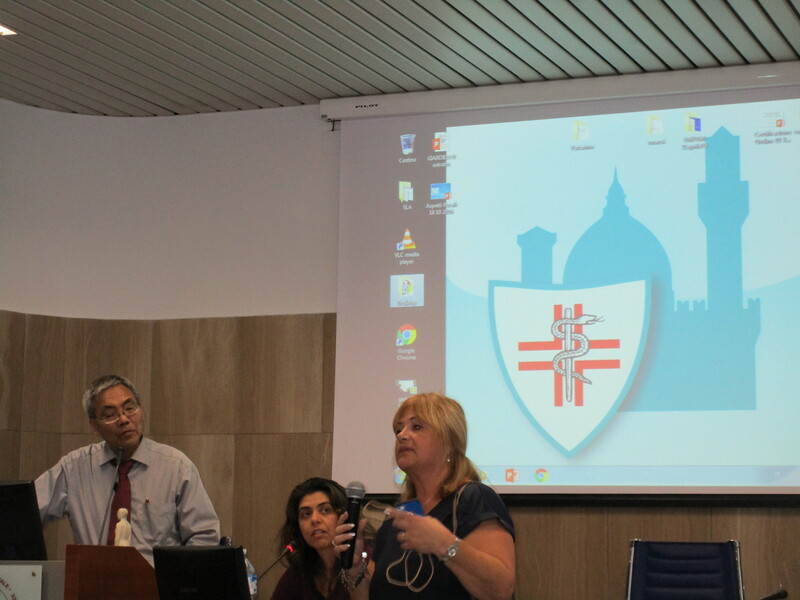 The conference was hosted by Dr. Giovanni Cellerini, Director of the Associazione Culturale Italiana Tong Ren. Tom Tam presented his healing system along with the analysis and testimonials from a group of doctors. Monica Calvo was invited to explain her research on oxytocin hormone (photo). The RAI (International Italian TV Broadcast) interviews Tom Tam and Dr. Cellerini during the intermission of the Tong Ren Seminar in Florence, Italy, on October 2016. 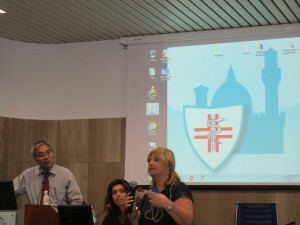 Dr. CELLERINI SUCCESFULLY PRESENTS TONG REN IN FLORENCE, ITALY. 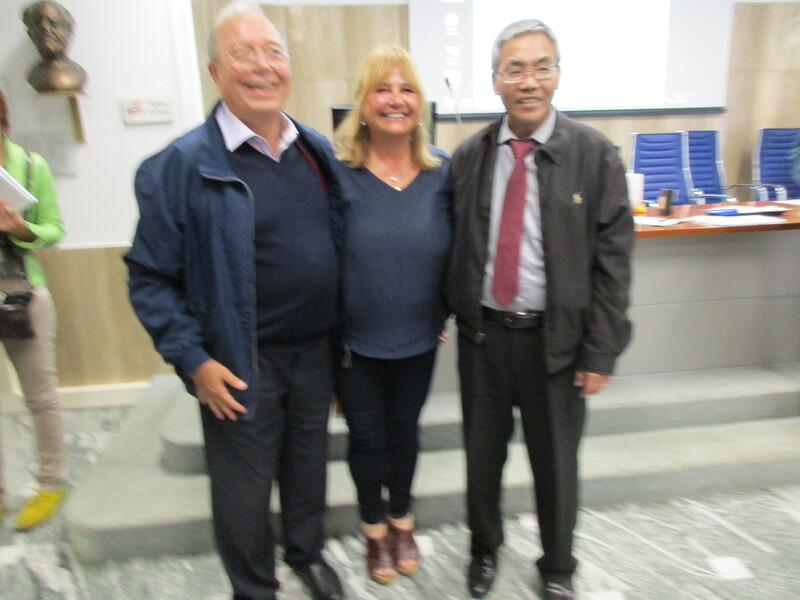 Monica Calvo with Dr. Giovanni Cellerini (left) and Tom Tam (right) after the Tong Ren presentation at the Association of Medical Surgeons and Dentists in Florence, on October 2016. 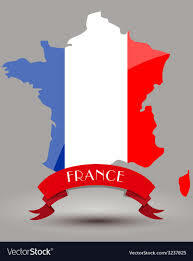 To read more testimonials, please go the to TESTIMONIALS tab in this website. EFFECTIVE MARCH 1st, 2014, MONICA CALVO HEALING CENTER WILL OFFER TONG REN HEALING SESSIONS EVERY FRIDAY AT 5:30 PM. THIS IS A GENERAL AND ANTI-CANCER CLASS. PLEASE NOTE THAT THIS SESSION REPLACES THE 5 PM, 6 PM, AND 7 PM CLASSES. MONICA CALVO HEALING CENTER OFFERS COURSES AND CERTIFICATIONS IN OUR OFFICE LOCATED IN MEDFORD, MASSACHUSETTS, INTERNATIONAL SEMINARS HELD IN LATIN AMERICA AND EUROPE LOCATIONS, AND ON-LINE SEMINARS. MONICA CALVO TAUGHT THE FIRST INTERNATIONAL TONG REN SEMINAR IN SPANISH, HELD IN SAN JUAN, PUERTO RICO. AFTER THAT SUCCESSFUL LEARNING EXPERIENCE, WE WOULD LIKE TO KEEP SHARING THE BENEFITS FROM TONG REN BY TEACHING THIS TECHNIQUE IN SPANISH. OUR SEMINARS ARE DESIGNED TO TEACH IN THE UNITED STATES AND IN THE SPANISH-SPEAKING COUNTRIES, AS WELL AS A DISTANCE LEARNING PROGRAM. 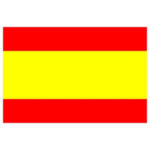 BIBLIOGRAPHY IN SPANISH IS AVAILABLE EXCLUSIVELY THROUGH MONICA CALVO HEALING CENTER. MONICA CALVO HEALING CENTER OFRECE CURSOS y CERTIFICACIONES EN SU OFICINA DE MEDFORD, MASSACHUSETTS, SEMINARIOS INTERNACIONALES EN LATINOAMÉRICA y EUROPA, y SEMINARIOS ON-LINE. EL PRIMER SEMINARIO INTERNACIONAL DE TONG REN EN ESPAÑOL SE LLEVÓ A CABO EN SAN JUAN, PUERTO RICO, CON GRAN ÉXITO. QUEREMOS REPETIR LA EXPERIENCIA Y SEGUIR COMPARTIENDO LOS BENEFICIOS DE TONG REN, ENSEÑANDO SU TÉCNICA EN ESPAÑOL POR MEDIO DE SEMINARIOS ABIERTOS A TODAS LAS PERSONAS INTERESADAS EN ESTADOS UNIDOS Y PAÍSES DE HABLA HISPANA, ASÍ COMO CON SEMINARIOS A DISTANCIA. CONTAMOS CON LIBROS EN ESTE IDIOMA, DE DISTRIBUCIÓN EXCLUSIVA EN NUESTRO CENTRO. Mónica Calvo performs Tong Ren Tui Na on a participant at the Health Fair in Bay Path College, Burlington, MA on August 27, 2013. Mónica also taught Tong Ren Healing technique with the doll and hammer, and played an instructional DVD featuring Tom Tam during a group healing session.